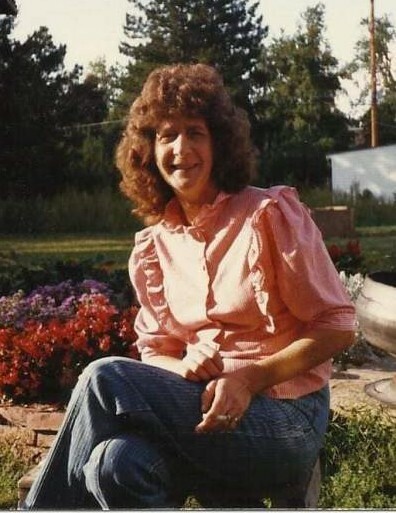 Patricia Joann Hollers 78 of Litchfield passed away Jan. 14, 2019 at St. Francis Hospital in Litchfield. She was born Jan 8, 1941 in Litchfield IL to Clifton H. and Lola b. (Jackson) Dyer. She was a cook at local restaurants for many years, she loved to garden and hunt mushrooms, cooking and baking and spending time with family and her grandchildren. She was member of the Litchfield AMVETS ladies Auxiliary. She married Robert Hollers on July 2, 1966 and he survives. She is also survived by two sons Marvin Hollers of Benld, Robert Hollers Jr and his companion James Rutherford of Hannibal MO, three daughters Debbie Hollers and husband Nate Deiger of Palm Harbor FL, Bobbie Hollers of Gillespie and Connie Hollers of Litchfield, 13 grandchildren and 25 great grandchildren, siblings Nellie (Earl) Crabtree of Bloomington Springs TN, Melvin (Bessie) Dyer of Humbolt IL, Lovia Cowgill of Taylor Springs, Russell (Eva) Dyer of Hillsboro, Carla (Troy) Dawdy of Hillsboro, Roger (Sonja) Dyer of Kiefer OK and Wanda (Jack) Allen of Warsaw MO. She was preceded in death by one daughter Cheryl Hollers and three brothers Clifford “Tony” Dyer, Terry Dyer and Stanley Dyer. Funeral services will be Sunday Jan. 20, 2019 at 1:00 PM at Hough & Sons Funeral Home in Hillsboro with Rev. Kevin Simburger officiating; a visitation will begin from 11:00 AM until service time on Sunday. Burial will be in Cedar Ridge Cemetery in Honey Bend.